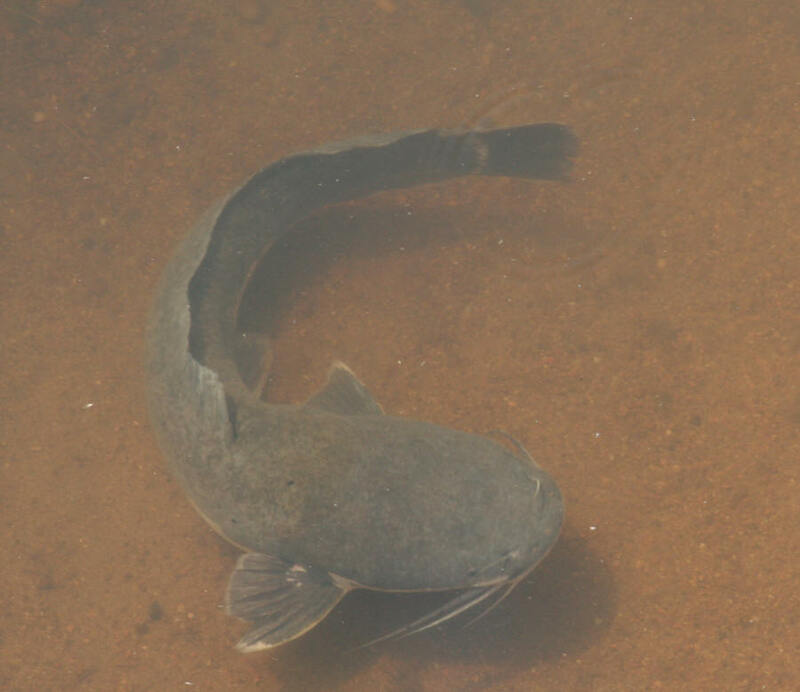 The more well known fish that occur in the Kruger are: Sharptooth Catfish, Tigerfish, Mudfish, Yellowfish, Redbreast Kurper, Mozambique Tilapia, Lungfish, Mottled Eel, Squeaker, Barbs, Makriel and Mouthbrooder. These are just a few of the fishes that swim in the Kruger National Park. 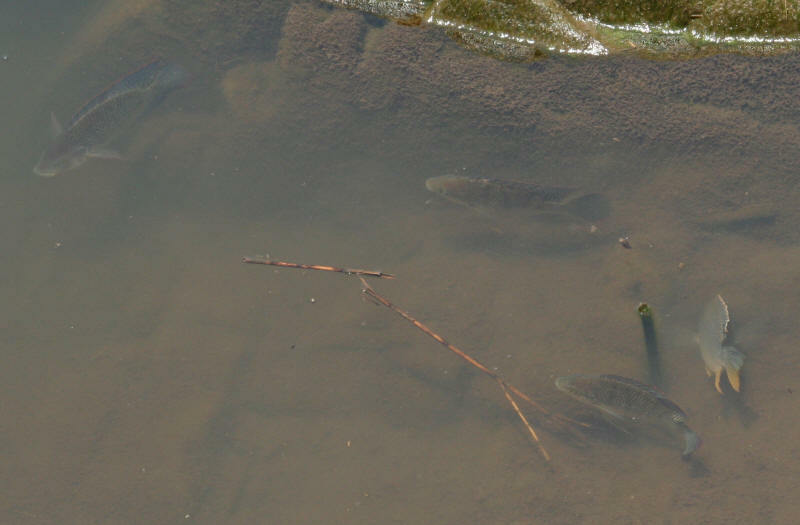 There is a constant battle with the fish biologists in the park as Bass and Grass Carp occur in many of the large river systems, these were introduced, and potentially could form populations within the park that will affect our naturally occurring species. The beautiful Rainbow Killifish occurs within the rivers of the Kruger National Park. Fish in the Kruger National Park's water systems can easily be viewed from the bridges in the Park and at the Bird Hides, so keep your eyes open! 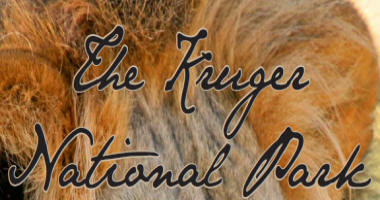 Please also note that no fishing is permitted within the Kruger National Park. 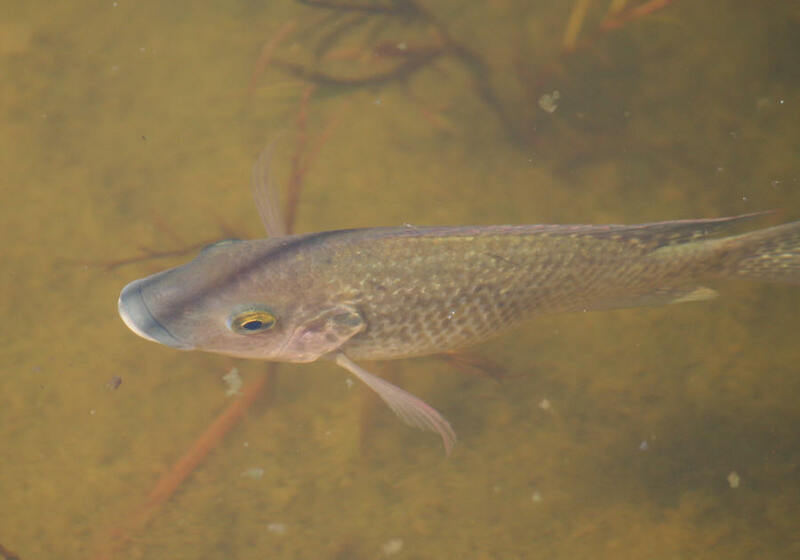 The Blue Kurper (Mozambique Tilapia) is common in the Kruger. 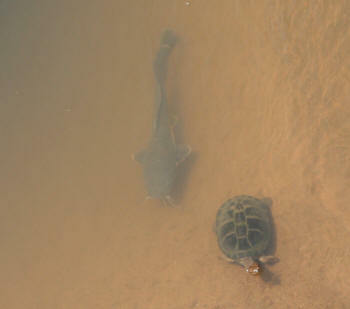 There are some huge Barbel (Sharptooth Catfish) in the Kruger.